Home › Latest News › Looking for the perfect Mother’s Day gift? Two Jack & Jill Candle REAL diamond pendants to be claimed! 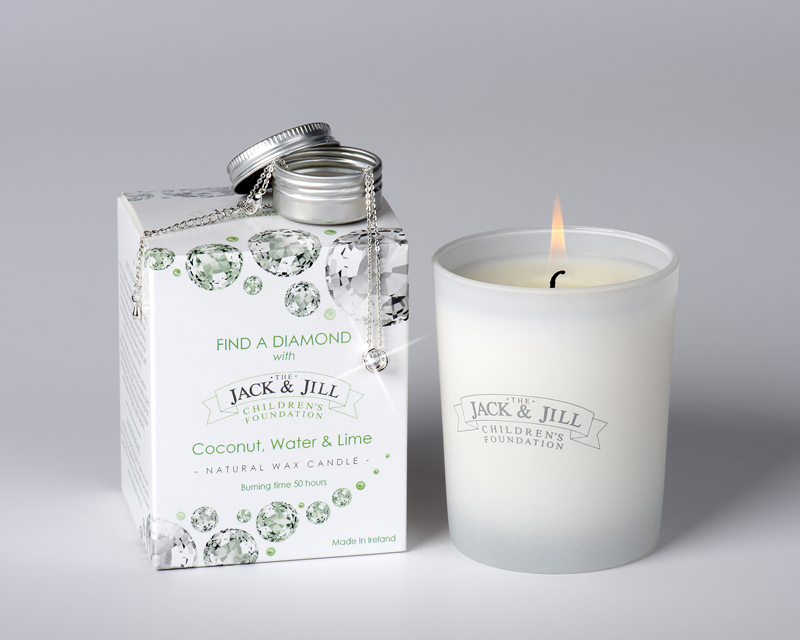 This Mother’s Day, readers can give their special Mum the perfect gift of a Jack & Jill Candle. As well as receiving an exquisite Irish made candle, she will be in with the chance to win a stunning diamond necklace. Inside each Jack & Jill candle is a capsule which contains an eye-catching costume diamond pendant, with two of the candles containing real diamond pendants, valued at €1,000 each, donated by Loyes Diamonds of Baggot Street, Dublin. The candles are made in Ireland by Celtic Candles with proceeds going to fund home nursing care for sick babies and children. By buying a candle people can give ‘the gift of time’ to a Jack & Jill parent to do the things that others can take for granted like shopping, taking their other children out to mark Mother’s Day, or simply a night’s sleep. Every €16 raised provides one hour of nursing care. The candles are available in two fragrances – Red Dahlia or Coconut, Water and Lime and were recently endorsed by two of Ireland’s household blogging names – Lisa’s Lust List and YStyle. The brainchild of DIT marketing student Amy Walsh from Newbridge, this is a multi-gift for less than €20 this Mother’s Day – a quality, Irish made candle, each one with a sparkling necklace inside and that chance to find a REAL diamond.